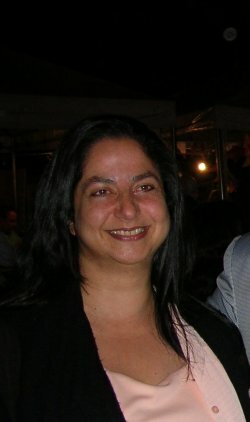 Eloisa Zarzur Cury - Formada em Administração de Empresas pela Universidade Mackenzie SP e trabalha neste ramo desde então. Paralelamente, num sentido de equilíbrio, tem se dedicado ao estudo e pesquisas no campo da espiritualidade há mais de 31 anos, com formação em vários cursos. Ao tomar contato com o Conhecimento advindo de Drunvalo, o impacto foi tão grande que a levou a realizar práticas e preparar-se para conhecê-lo pessoalmente nos Estados Unidos. O que mais a atraiu é a Liberdade de Ser e o Respeito pelas diferenças advindas de uma escola que reconhece a Unidade de todas as coisas. A partir daí sentindo a importância e urgência de transmitir este Conhecimento tão Belo da Geometria Sagrada/ Meditação Merkaba, formou-se facilitadora pela Flower of Life e agora é facilitadora do curso �? ?Awakening the Illuminated Heart�?� (Despertar do Coração Iluminado). Autorizada por Drunvalo, hoje se coloca como instrumento para difundir este Conhecimento a todos que por ele se sentirem atraídos. �??�? uma honra compartilhar este Conhecimento tão Belo!!! Que este Amor se manifeste sobre nós, em nós e por nós�?�. The course was beautiful. It was an unforgettable and fantastic experience. Satisfaction was total. Gratitude to all involved. Light blessings to all. The course was wonderful. Much more than I would expect. Gratitude to all who made this possible. I only have great comments on Eloisa and her colleague! I felt loved and supported in a way that I did not fear at all to go until the end with the teachings. I'm sure I activated my Merkaba because I felt immediately different. I love everything in Drunvalo's teaching, I am truely honored to be part of all this, but have been very resistant to make the next/last move: the 90 degree turn. And this is only for one reason: I feel sorry for not being able to take along people around me. I'm trying to find strength for this and will be looking forward to see the \"Education\" session in my menu bar soon. Thank you for everything!!! This workshop was above my expectation and I intend to take the new workshop The Way to Live is to Be with Drunvalo next October 2014. The teachers were extremely open, caring and knowledgable. They made everybody feel at home and created a very loving and supportive environment. I would recommend the workshop and the teachers to everybody who wants to go a step forward towards the Light. Thank you with all of my heart. Drunvalo, Eloisa, Malu and Nelson. I am very honerd by this day when our path crossed. We are going home and home is that special place within us. The most high prepared teachers to instruct the students on how to enter the sacred and tiny space of the heart! Highly recommended! Congratulations, dear teachers! I love you! Kisses and hugs! É interessante deixar acessível e exposta uma imagem expondo a localização da pineal e da pituitária durante todo o curso.